Jeff, what are the Space Based Space Surveillance Block 10 (SBSS) mission, background and general characteristics? The Space Based Space Surveillance Block 10 satellite operates 24 hours a day, 7 days a week collecting metric and Space Object Identification data for man-made orbiting objects without the disruption of weather, time of day and atmosphere that can limit ground-based systems. SBSS has a clear and unobstructed view of resident space objects orbiting Earth from its 390-mile altitude orbit. SBSS communicates information through the world-wide Air Force Satellite Control Network and commercial Unified Space Network ground stations and then to Schriever Air Force Base where operators oversee the day-to-day command and control operations of SBSS. SBSS provides the data necessary to predict the trajectories of these objects, which gives experts an idea if an orbiting satellite may collide with another orbiting object, which allows time for evasive action to be taken in order to avoid collisions. 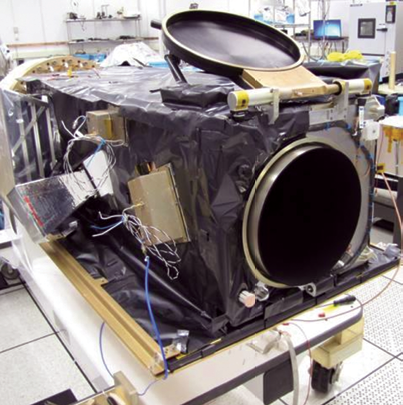 SBSS Block 10 was a pathfinder space situational awareness satellite that was launched aboard an Orbital Sciences Minotaur IV rocket from Vandenberg AFB, California, on September 25, 2010. The first signals from the satellite were received a short time later at the Satellite Operations Center at Schriever AFB. 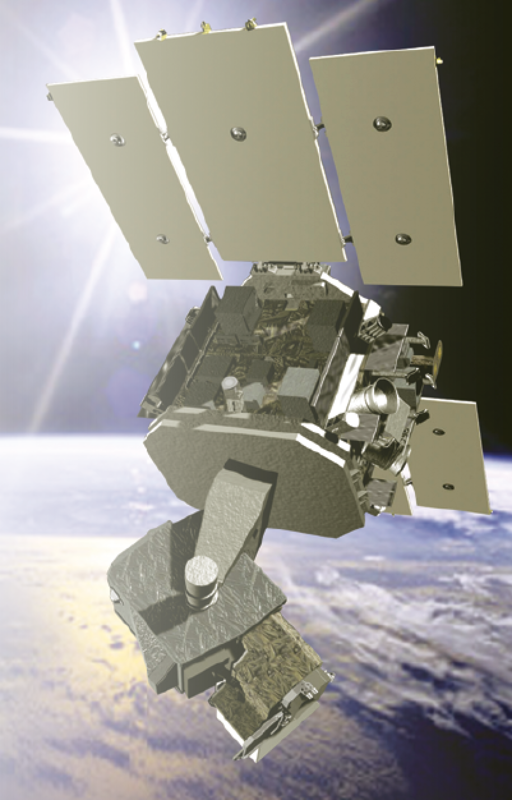 U.S. Air Force Space Command declared that the SBSS Block 10 satellite reached Initial Operating Capability on August 17, 2012. SBSS uses a visible sensor mounted on an agile, two-axis gimbal, which allows ground operators to quickly move the camera between targets without having to expend time and fuel to reposition the entire spacecraft. What is the current status of Space Based Space Surveillance Block 10 (SBSS) program? SBSS just passed its design life of seven years and the system is still performing well. Current analyses indicate it will operate for years into the foreseeable future. If the satellite were to stop performing today the U.S. Air Force would be able to say we got our money’s worth, but my team and I believe there is still plenty of mission life remaining. 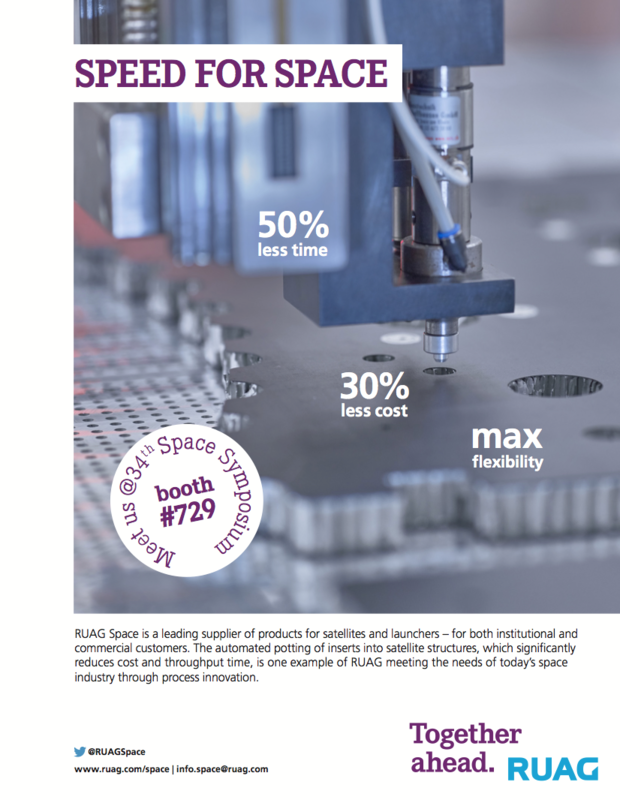 Kudos go out to our integrated Boeing and Ball Aerospace contractors and MIT/Lincoln Lab for designing a system that will not only outlast its design life but also to the USAF team for finding novel ways to leverage SBSS by evolving its mission to meet a dynamic threat environment. From its low Earth, sun-synchronous orbit SBSS provides a clear and unobstructed view of resident space objects orbiting Earth. SBSS communicates information through the world-wide Air Force Satellite Control Network and commercial Swedish Space Corporation ground stations and then to Schriever Air Force Base, where operators oversee the day-to-day command and control operations. SBSS uses a visible sensor mounted on an agile, two-axis gimbal, which allows ground operators to quickly slew the camera between targets without having to expend time and fuel to reposition the entire spacecraft. 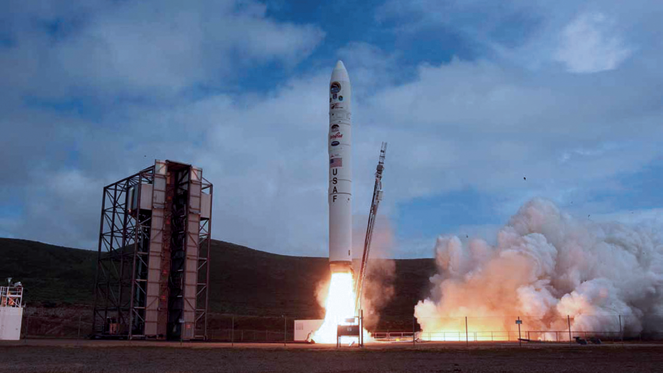 SBSS was launched as a pathfinder satellite for Space Situational Awareness (SSA). Has SBSS met its expectations? SBSS has exceeded expectations. The satellite is operating 24-hours a day, seven days a week collecting metric and space object identification data for man-made orbiting objects and space debris without the disruption of weather or time of day. The system provides the data necessary to predict the trajectories of these objects, which gives experts an idea if an orbiting satellite may collide with another orbiting object. Photo of the Minotaur launch is courtesy of Orbital ATK. This allows us time for evasive actions to be taken in order to avoid collisions. It has been so successful that, due to SBSS’s performance, we are updating the space catalog to include more reference identification numbers. SBSS is a pathfinder satellite — what have you learned? In terms of Space Situational Awareness (SSA), SBSS has provided the foundation for future development. It laid the path for Command & Control (C2) to include tasking and scheduling, space based operations for a sensor, and the development of image processing and data dissemination. More recent satellite programs have been following SBSS’s path such as, Geosynchronous Space Situational Awareness Program (GSSAP), Operationally Responsive Space-5 (ORS-5) and SBSS Follow-On. The latter is still in the planning stages. Not only have we learned a lot from SBSS, but it has also provided valuable mission data as noted earlier. It’s also worth noting that the dynamic environment of space and advancing foreign space operations have motivated the need to use the system in ways not considered during the initial design, such as more flexible and responsive ad-hoc mission tasking. Space is now not only a congested environment, but it is also contested. To defend it, the U.S. Air Force needs to make sure we command space and that we are able to provide SSA. Future systems will be radically different from the current SBSS due to the complex mission we are trying to accommodate, but there are similarities in what we have learned. SBSS started out with a simple mission of cataloging space debris but has laid the foundation for future requirement developments for space based sensor acquisitions. The concept of a taskable sensor in space has demonstrated its usefulness, but a lot of things we have learned has been on the ground. Most of the development work has been related to improvements to the ground system, which has enabled better planning, satellite control, image processing, data dissemination, sharing and exploitation. Through the use of the internet, we are now able to take advantage of other Air Force and DoD Agencies for their expertise. We are getting the data in front of the right people as quickly as possible so that it can be analyzed and the right decisions can be made quickly. SBSS and other Air Force systems have led to new developments in acquisition, such as enterprise systems and modularity. The ORS-5 satellite upon completion of build process. Photo is courtesy of MIT LL. What is the future for SBSS and the follow-on programs to include ORS-5? The future looks exciting for the U.S. Air Force in the Space Situational Awareness arena. 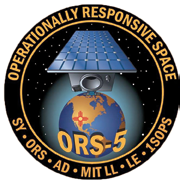 With the launch of ORS-5 [August 27, 2017 aboard an Orbital ATK Minotaur rocket] and its likely contributions, we will understand how it and SBSS will complement each other. Specifically, due to each satellite being in different orbits together they will provide more complete coverage of the geosynchronous belt. Further, we are developing the next generation of smart satellites and ground systems which can work well with machine learning, and SSA data exploitation. New satellites are being developed for special applications but when combined together, they can give us a much bigger view of what is going on in space. 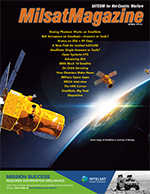 Ground systems are being developed as robust systems that fuel the satellite architecture. Additional Air Force entities are now trying to exploit the cloud for enterprise applications. The internet, as noted, has provided us the opportunity to share our data with other organizations. These organization are then able to find new ways to analyze the data and provide information. Space sensors have also evolved with new technologies that have provided a wealth of information that needs to be processed as well as analyzed. SBSS was the first of a new generation of satellites, and it has provided a very valuable stepping stone. It will most likely be years before the SBSS mission dies, but other new systems are being developed today by some of the program managers who received their first experience on SBSS. Mr. Jeff Veselenak is currently the Space Based Space Surveillance Block 10 government program manager within the Space and Missile Systems Center’s Space Superiority Systems Directorate. He leads a 75 government/contractor team managing performance, cost, and schedule of sustainment operations for a $1 billion on orbit system. He has more than 30 years of federal experience successfully managing military space and aircraft research and development, acquisition, and space operations and sustainment programs.